Check out this 1957 Volkswagen Porsche Speedster Replica here on eBay bidding for $5,505 with auction ending Sunday at 7:51PM PST. 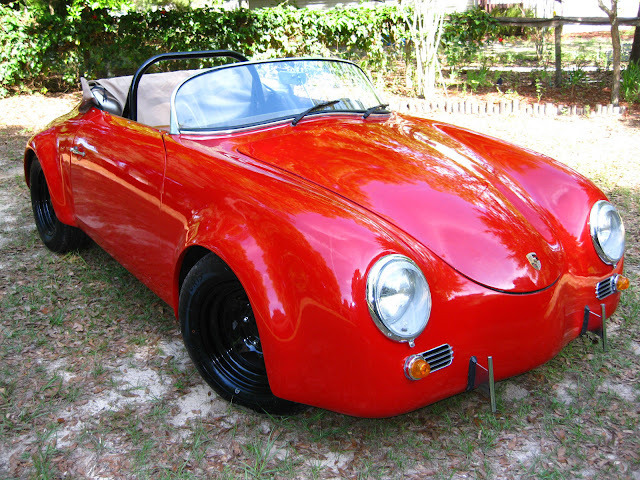 You are looking at a 1994 Speedster Californian Fiber-fab International Replica. This car was built to look like a 1957 Porsche Speedster. It is titled as a 1994 Custom. 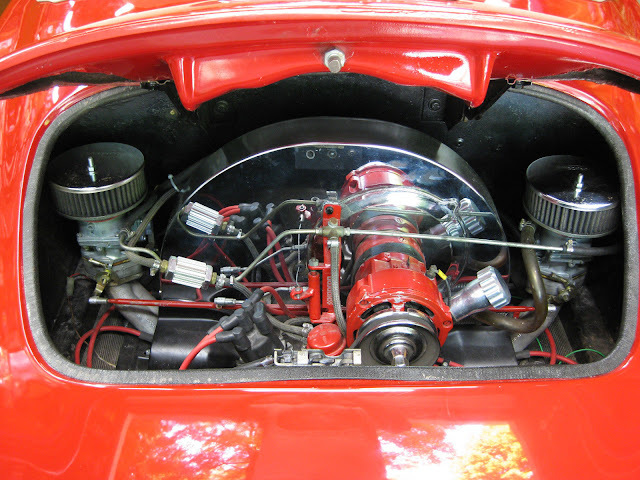 Car has a VW 1740 engine in it with Solex dual carbs and Kadron parts. The car has front disk brakes and rear drum brakes. The wheels are the original wheels designed for this car, and I just had them powdered coated black with a new set of tires with less then 50 miles on them. The car was sitting for some time till recently this past week I got her running and then drove her up to Dade City which was a 50 mile trip, see video of her driving on the free-way. Car does look nice but does have scratches, chips, wear and tear. The car still might need some adjusting, tuning, fixing, or cleaning, so I am considering it a project. Some of the gauges are not currently working. 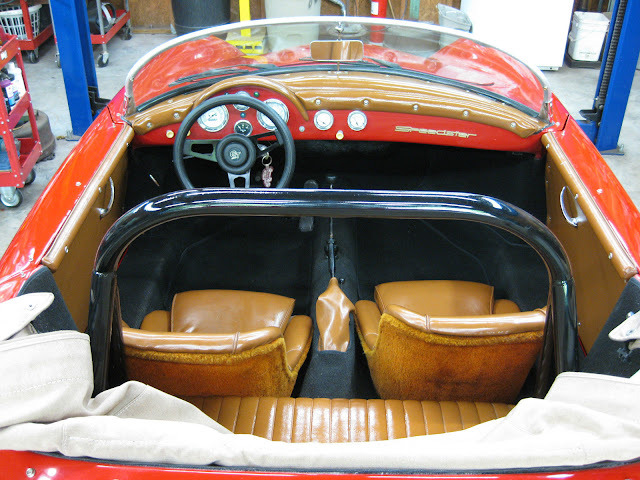 I am including some extra parts, like the original seat belts, original center wheel caps, new mirrors, and original interior trim. Car has a clean Florida title that matches the cars VIN plate, see picture of it. I have provided 6 slideshows with many pictures, and two videos of the car running, so I am going to let them do the talking for me. But please ask all questions before bidding because I am happy to answer them. You must use a regular computer or laptop to see the slideshows and videos. They will not show up with apps, phones, or some tablets. Also please click view all at the bottom of each slideshow to see every picture. This is a NO RESERVE auction. No warranties expressed or implied , and a as is where is sale. Feel free to have the car inspected if you like. All sales are final, and there are no refunds or returns, and inspections are recommended. Car comes with a clear Florida title that matches the cars VIN from the previous owner. Once the car is paid for in full, then the buyer agrees to the terms of this sale, and has satisfied him or herself to the condition of this Replica and I hold no legal responsibility for the condition of the car from that point forward. Full payment is do within 7 days after the auction has ended. Buyer must also contact me within 2 days after the auction has ended to set up a time for payment and pickup. Car must be picked up in Dade City FL 33525. As long as the car is paid for in full within 7 days after the auction has ended, then she can sit here for up to two months, but would like it picked up as soon as possible. Please look at all of the pictures, including the slideshow pictures, and ask all questions before bidding as I will be happy to answer them. Thank you and happy bidding! Wow, that could wind up as a bargain for someone. Personally, I prefer these replicas to the real thing. 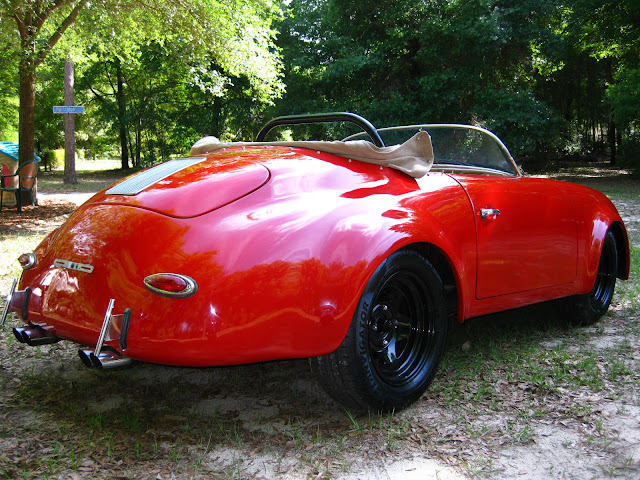 This is a speedster that you could actually drive without fear of losing a mid-6-figure investment. Frankly, I suspect this would be a better car than a real speedster too, and infinitely upgrade-able. I might just skinny-down the tires. I have learned that too-much-tire-for-the-engine makes for a heavy feeling car. It kooks very little like a Speedster. Ouch, no California for a 1994, too bad.